If we join after the start date, do we receive the patterns that already were published? yes – you do! You’ll receive all the patterns (and extra freebies) published so far, as well as all of those to come. Hi Deborah, just drop us an email on info@katedaviesdesigns.com and we can clear everything up for you. I’ld like to offer the standard subscription to a very good friend as a xmas present. I’ld like to be sure she won’t receive any information about the subscription on her email (different from the billingadress whiche will be mine) before it starts, or at least before xmas. Could you confirm me this ? And my second question is : Does she absolutely need to have a ravelry account ? I would very much like to join the knitting club, but as I can’t download and without a printer, it seems impossible. Melanie has very kindly printed out patterns and sent by post in the past, but this is too big a project to ask for her help. Is there any other way to take part? Hello. Will the Do Nothing book be available as a separate purchase in the future? Hi. Will the individual patterns be available to buy after the club ends please? Thanks! I don’t understand how it can be in my basket, by the time shipping details were filled out, the basket emptied itself and all the details were gone as well. I do understand that you can only have a limited number especially with print runs and wool stocks on hand, so I will be joining in the fun with a standard subscription before it begins in January. Love your products and your blogs. All the best Kate, Tom, Mel, Jane, Bruce and Bobby. So disappointed. Literally could not get away from the stove (I am a Chef) to log in for the Limited Edition. Noticed there was a “wish list” option. Could you possibly be offering more at a future date??? I’m in Alaska. 5 pm is 8 am our time. I got up early, logged on to my account and waited. Credit card in hand, I waited and was rewarded!! I am super excited!! It feels like I won the lottery. Feel so badly for those that did not win that lottery this morning. Next time!! Thank you Kate for this exciting opportunity! Is the standard edition a one time payment? Is the standard subscription a one time payment? Disregard my previous comment wrote edition by mistake instead of subscription. Has the standard subscription sold out too? I’m searching the website and can’t find any reference on how to subscribe. So disappointed – I got up at 3.30am (5pm GMT), I actually had it “in the bag”, by the time all the shipping details were filled in, I pressed “pay with credit card” button and hey presto – the basket emptied and my details were cleared! Gah! That was at 3.44am, can’t believe it sold out so quickly! No, I should have known that, because it offers incredible value for money. Still, will get an unlimited subscription in a couple of weeks, that too seems good value for money. I was clicking on PayPal and it grayed out! I clicked back to check the order and it was listed as out of stock! It was about 4 mins past the hour. So I ordered the standard and the journal. Oh well. Still I am looking forward to the patterns and essays! Thanks for this creative theme! it sounds wonderful! I’m especially looking forward to reading the Do Nothing book, I find “behind the scenes”-themed texts by artists and creative people very enriching and for me you are one of the most inspiring creators. I would certainly not expect any “decontextualised “inspiring” quotations or banal positive thinking mantras” from you but still this information made me even more certain this is exactly the book I need! My question is: will the club weekly essays/articles be reprinted in the book(s) or are they going to be completely different, “bonus” texts? I think the WHW club was more like the former and the Islay club was more like the latter if I remember them correctly so I’m wondering if I might miss anything by just ordering the book(s) some day later without being part of the club. (I have to plan my expenses more carefully this year…) Thank you and congratulations on being so amazingly productive this year! Okay…hope I’m reading this right…subscription comes available today at 5pm GMT. Sooooo excited. Hubs and I totally enjoyed last years. Though I haven’t knit a things from it. I’ll jump on the band wagon again. Cuz creativity should not be stressful but enjoyable and that’s what I’m aiming for this upcoming year, starting now! I was too late at 5.10pm to get the Limited Edition! Really disappointed but … you can’t win them all! Still have all your wonderful books and I love reading your blogs! i would like to comment on a design element on the club pages … i love the design of your website however the VERY light grey text for the descriptions of items is really hard to read – this is on any of my four monitors and any of my chromebooks and apple mobile devices. could you make that text a BIT darker? I would agree re the colour of the text, looks nice on screen but not great from a usability point of view. I completely agree. The pale grey text is most difficult to read, both on a monitor and an iPad. This darker grey is readable. And there is much good to read! To bad, I liked the limited items. So happy — I managed to order the Limited Edition subscription. This club is coming at just the right time — the theme on creativity is what I need because mine is currently at low ebb. Thanks so much Kate and all the rest of you wonderful KDD folks! This will be an exhilarating! Flipping heck, Kate – too late to join! Was hoping to keep occupied this winter as husband died in 0ctober still will be enjoying blog! Thank you for this opportunity in receiving something special . How very disappointed I was though not to make the Limited Edition Subscription, It was available when I started filling out the ordering information. While I was writing delivery and paying information I got the message that it was sold out. Well, well I am not very quick on the keyboard so I have to take what I get. I have written myself down to a waiting list, and ended up signing up for the 40 pound package. I look forward to receiving that. Mission accomplished – Hurrah! Very much looking forward to this and fingers crossed the recent strike by Canada Post does not delay arrival. I’ve never written to you before, Kate, but just want to say how much I enjoy reading your posts, for the knitting, of course, but also for your uplifting words and insights on life. Thank you. p.s. I love your “new” hair – it so brings out your lovely eyes. I would like to sign up, but I can’t find where… How does it work? I am sooo disappointed – this subscription was in my basket but by the time i filled in all the details to purchase … it was gone. How can this happen. Please Kate can you add another one more ….. Yes, exact same thing happened to me. I had it in my basket and by the time I filled out the form and clicked to pay it was gone. So disappointed. Same thing happened to me, had to get up at 3.30am. Deeply disappointed – just spent an hour on the website refreshing and looking for the knitting season club, but couldn’t find it. Only after someone mentioned searching for it, I searched and of course, now everything is gone. Very, very disappointed!!! I had the same problem. I had a hard time finding where/how to purchase the club even though I made sure I looked at the correct time. These types of limited offers are very discouraging, especially if you work and can’t time it just perfectly. Josephine, I agree with you about purchasing a[ a “special” time. There are a number of sites in the US that do this and it was so frustrating, I just gave up on their yarn altogether And some of us do not work at a computer screen. I love Kate’s designs and yarn so much! I hope this will not be a regular occurrence. I did get the regular subscription and the book. Looking to order a heid kit. Still a loyal fan. Purchased!! I set two alarms for myself for this one. Looking forward to it! How does one sign up for the club? Hi there, where can I suscribe- through the shop? Will it be possible to buy copies of ‘Do Nothing’ without joining the club? Hello, will it also be possible to buy a copy of ‘Do Nothing’ if I don’t join the club? Hello, will it also be possible to buy copies of ‘Do Nothing’ without joining the club? Looking forward to joining…my 3rd Club with you!! So, if it’s 5 pm there is it 11 am CST here? Hi Elaine. I believe that 5pm GMT is 11am CST – this is the time zone I am in as well. I have travelled a lot, across the globe, of the beaten track and you find makers everywhere, at the most remote places (especially there I’d say, outvof necessity). But somehow, of all places I have been, the makers spirit was even more apparent in Scotland. I found it everywhere. In the crofting and crafting, the food, the drinks, the approach to nature. Don’t know if it is because of the landscape or something in the Scottish soul but I’ll suscribe and see what it teaches me. Thank you Kate because you give us more than just designs. Looks brilliant. I particularly loved this sentence – “I promise that this book will not bombard you with decontextualised “inspiring” quotations, banal positive thinking mantras, or complicated exercises that are meant to change the way you do things.” Sounds like such a good club. Do I have to have a Ravelry account to join this club, or can I receive the patterns in my mailbox? Will there be a Ravelry group for this club? (if that is how Ravelry works?) – in other words: Will I miss out on something if I don’t join Ravelry? Just want to make sure so that I can be ready for 5 pm tomorrow! I really do recommend joining Ravelry to get the most out of the club (as well as the most out of your knitting!). If you could send us an email at info@katedaviesdesigns.com we can talk you through what’s needed very simply. I am absolutly thrilled to take part in this latest club of KDD Design. I have enjoyed knitting from previous books and took part in the last club, with all the wonderful scottish names. 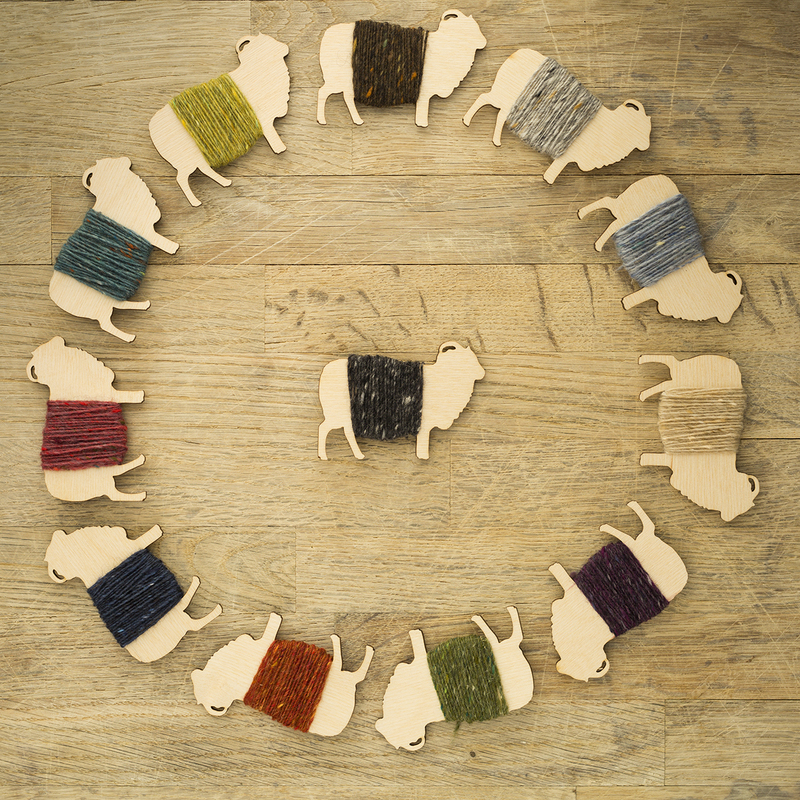 I have mostly used icelandic and faroese yarns for the knitting projects but am excited to try your Millarochy yarn if I am lucky enough to make the Limited Edition Subscription. I will be at the computer at 5 pm tomorrow. 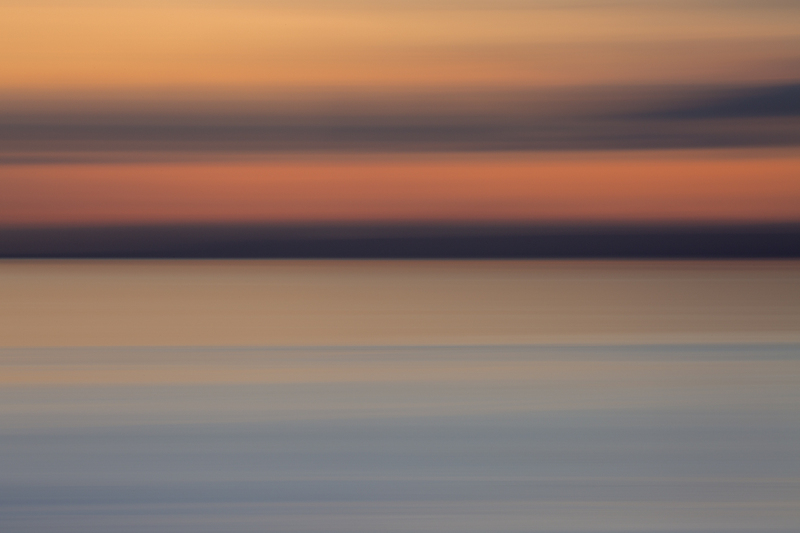 Thank you for your inspirational projects and encouraging blog-posts. I’m all about the dress. I’ve been wanting to make one for some time. I noticed one you were wearing in a recent picture. If that’s the one, it’s beautiful! that is, indeed, the one. I need to work “decontextualised ‘inspiring’ quotations, banal positive thinking mantras” into my Twitter bio somehow. Please could someone advise me, I have used Ravelry but do understand the groups thing. Am I trichromatic will it become obvious. Is that where I will find the patterns and essays? If you click on the group heading in ravelry search for Kate Davies (love). Click on it to open and then click the join button. You can then find it in your forums section…that will be on the top of your home page to the right. Kate has some really wonderful moderators who help lead the discussions on the various patterns and topics. Well, I know what my Christmas gift is going to be! Filled with anticipation but have some questions. Received 12 skeins of Milarrochy in West Highland Way Club. Are the skeins the same size and colors of those received in the West Highland Way Club plus 3 new colors? Does the journal come with a pencil holder? Are copies of and patterns in the Heids book part of either club? Hi Victoria, Milarrochy Heids is a completely separate project; pencil is separate, not in a holder; skeins are all 15 shades in the palette – so yes, the 12 you’ve tried already plus the 3 released this year. Me: no, I’m not going to bother – I’ve got way too much yarn anyway and too many ideas already. Me (five minutes later): Who I am kidding, of course I’m going to bother. One more question–if the club starts on Jan 11th, for the limited edition, when are the yarns sent out? I will be out of town from Dec 29th through Feb 1st with good internet connection and these projects and the support will be fun to do in that time period. Of course, being back home will be ok too. One thing I’d love to learn is short rows. Do any of the projects have short rows? And I’d love some help on stranded knitting which I do a lot of but haven’t mastered using both hands yet. Would there be some help with that? One of the first projects in the club features a short row method, which is simple and easy to accomplish. There are several stranded projects, and no ‘right’ way to strand (many knitters strand with both yarns in their right or left hands, rather than using both). As a first step, you might like to join the KDD Ravelry group, where we will be providing support and help for each project as the club unfolds. You just made my Christmas 😘 I am not a joiner of clubs but this is irresistible! I love your designs and aesthetics!! As a male knitter who knits mostly for men, I’m curious if any of the patterns will be objects that were designed for men? Keith – I have to be honest and say that there are no projects specifically designed for men in the club . . . though you are of course welcome to knit any or all of them! Our “Inspired by Islay” book (have you seen that?) has several patterns in it which I designed with men in mind – Carraig Fhada Vest, Ardmore gansey, Dunyvaig scarf, and Shore Street hat. I’m so excited! I loved last year’s club, knitting Strathendrick, Myrtle, and The Observatory, all of which get worn regularly, and Coinneach is still on my TO DO list. My husband is going to give me this year’s subscription as a Christmas present. I have just received the Heids book – it’s even more beautiful than I thought it would be, with such great detail in the photos. And I’ve ordered the packs to make two of the Heids over Christmas. I would like to knit ALL the Heids, but I’m sure I’ll want to knit most of the patterns you’ve got waiting for us in the New Year. All this is a preamble to: How do you do it? 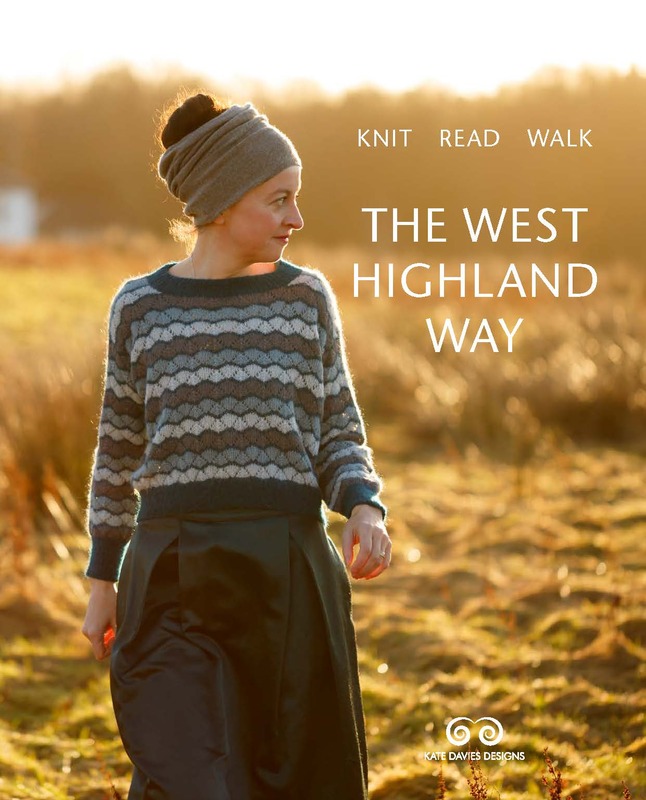 The time taken to dream, imagine, invent, design, knit, write patterns, test knit, write essays, and to produce – not one, not two, not three, but six books (I’ve included the journal, West Highland Way, Milarrochy Heids, and Handywoman) for us knitters beggars belief. You are an inspiration to us all. Thank you, Kate, for all the pleasure you give us. Thankyou, Jennifer. Two things make all this possible : 1) I have a great team 2) I really love what I do, and have fun doing it! As much as I love yarn and patterns, I am very interested in exploring the creative process. For the first time, I find myself really wanting to join a “club” and trying to work out a plan. Yippee!!! Can hardly wait for Friday! I am hoping to snag an limited edition subscription. Hmm 5 pm your time is, let’s see,….11 a.m. in New York? I think 5pm GMT is Noon eastern time – double check on a world time calculator. All I could think of when you describe the book on the creative process is YES!!! I am so happy it is not going to be full of trite inspirational quotes! I absolutely love your yarn and it really does knit up light as a feather and very warm. Your designs and essays are worth every penny. But I am especially interested in the creative process. My inner artistic soul is so happy right now with anticipation. I imagine 5PM in Scotland is 12 noon EST. I will have PayPal at the ready!!! You had me at pencil. If the knitting journal is purchased on Friday, 12/7, when will it be shipped? Would it be available for Christmas gifting? I am excited for this club, after thoroughly enjoying West Highland Way last year! I’ve got a Gumbyhead question but want to make sure I understand correctly. I’ve participated in subscriptions with a bi-monthly fee. Is the cost you’ve listed (which I think will be about $127 US) a one-time fee? I’m having a hard time believing that is possible because of all that is offered in the club. yes – that is the one-time fee for everything. We try to keep things reasonable. Pre-Christmas joy that will last for months! Such an interesting development from previous clubs, can’t wait.. When will we see (and buy!) the new yarn? As mentioned above – at the beginning of February. Creo que sera mi regalo de navidad…entiendo que las 5 gtm equivale a las 6 de la mañana en España? Thank you for the informative update Kate, very helpful. Are you able to say how many limited edition subscription there will be? hi Caroline, yes, absolutely – you’ll be able to buy this book separately in March / April 2019. Hi Kate, Do you know how much the do nothing book will cost once it’s available on its own in March/April 2019? Thank you! Very useful to know. Are you able to tell us how much the Knitting Journal, purchased separately, will be please? Hi Kate, really sorry to hear about the treatment and hope you’ll enjoy the club. I particularly enjoy the club each year as a way of getting through the winter, and I have many things to say about making things as a way of managing ill health and recovery. I was reading ‘Handywoman’ while recovering from my first surgery and so much of what you said chimed with how I felt at the time, although our circumstances were very different. Knitting has long been my haven from stressful times and I’ve used it a lot during my recent treatment as an escape and as reassurance that I am still capable despite feeling so diminished. My recent surgery has left me only able to knit in short bursts as I’ve been told to keep repetitive tasks to a minimum but I’m hoping by Jan I’ll be back to full knitting capability! Something exciting to cheer up those dreary months! How thoughtful of you Kate. I hope the limited isn’t too limited either! Looks absolutely wonderful. My question is: are you planning to put the two books on sale in your shop after the club has finished? Thank you! yes, absolutely. Both books will be on sale separately after the conclusion of the club. Oh wow so an entire ball of each! So exciting. Thanks for the reply. I honestly don’t know how you find the time to do everything you do and be so creative. Just one clarification – if you get a standard subscription and add the Journal, it’s the same as buying the Journal with no subscription, right? You pay shipping and it ships right away? yes, that’s right. You get it shipped straight away. I am hoping to get the limited edition subscription for my daughter-in-law. What information will I need to have at hand so that 1) I can pay for it and 2) she can receive it? We are both on Ravelry and I would ideally use PayPal. This is a very exciting venture! Sounds really interesting, can’t wait to see it.